P.S. 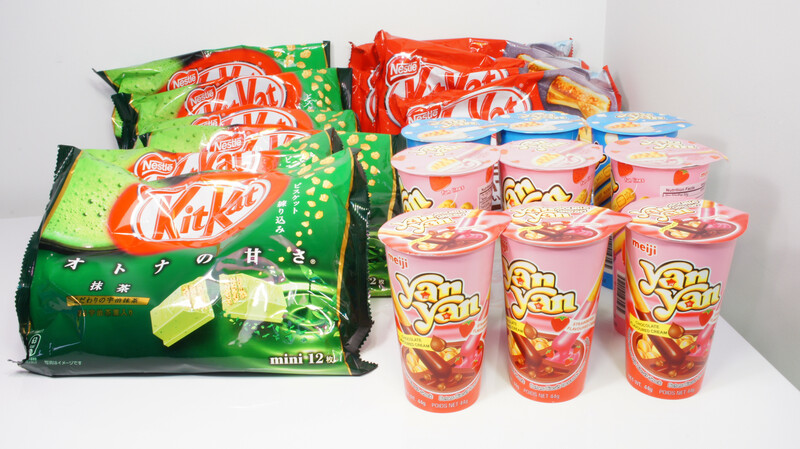 All cable orders now come with a Green Tea Matcha Kit Kat. Will be stocking Cherry PCB stabs with a finishing touch on top very soon as well. Haven't updated my thread with pics of cables in a while, will have to get to that sometime this week. i'm interested in the GID Blue but can't really decide between the reflective and non-reflective ones. 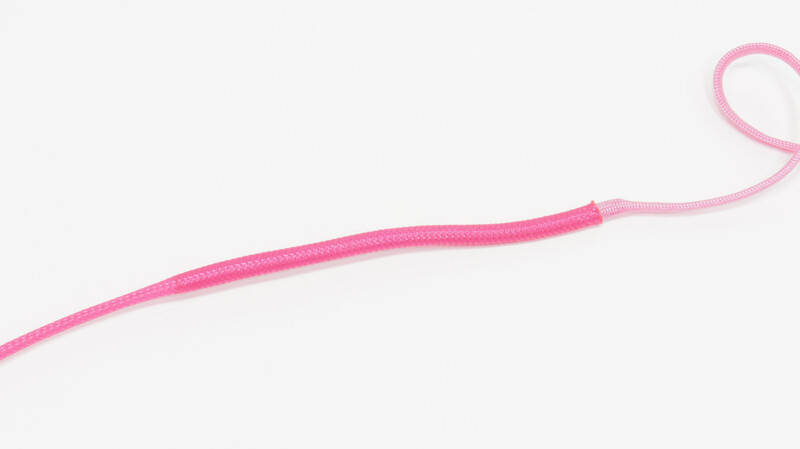 could you show me some pictures of both GID Blues and also the GID Pink? I'm 5.5k as we speak. Well we all better ****ing listen to this guy then. 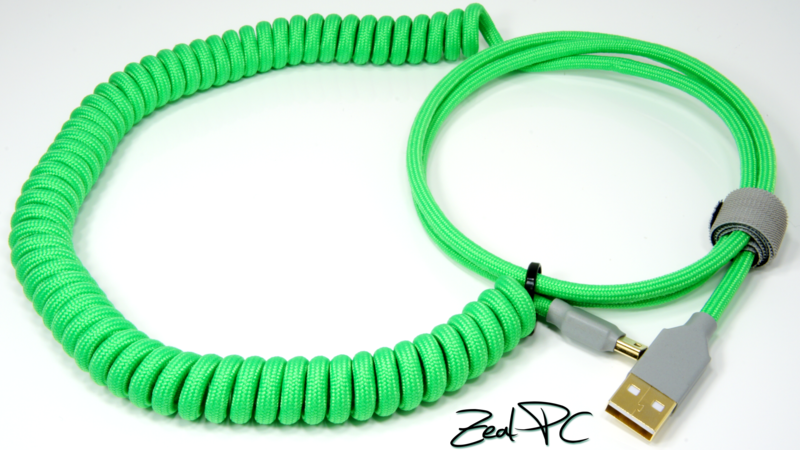 I'm thinking that I need a GID cable right about now too lol....I think it would go well on my lightsaver. Here's a pic of the three sleeves. Sorry for the late reply, was on a short trip during the winter holidays. Can't really capture the GID look, but pink almost turns white, and the blues have a greenish glow. If I want to get an Ergodox TRRS right angle cable, is the length done from the posts, or from where the cable meets the connectors? The cables look great, I just want to make sure that I get the correct length for my setup. Length you request is the length I cut the cable at. It's usually around the same, or ~inch or so longer after soldering. UV Pink on Rose Pink double sleeved. Good or bad idea? Enhances the UV pink sleeve. How to order exactly the green one with SDL to USB A (plus the converter I suppose)?? Is it also possible to add a coil? The only issue with this is that you will have to purchase the SDL cable yourself and have it sent to him as Zeal doesn't have them. Another issue is that Zeal has no way of testing the cable to see if it works. 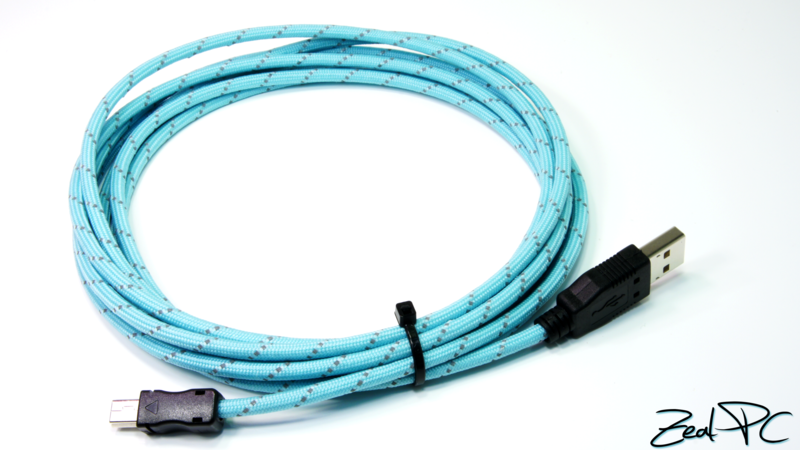 Already discussed about the SDL cable with runcom and it's on its way to me. grats on vendor status, your store just needs to stock on lube and maybe a couple more LED colors now (btw you still haven't fixed those LEDs photos!) and it'll be the most complete NA store around. i'll definitely be in touch with you in the future about my Octagon and many potential orders. keep up the good work! Lube is already in the works. heya. do you happen to have any color that closely resembles the Octagon's blue grey? Since I'll have a blue gray on hand (along with yours), I'll see if I can get a colour match in person once I receive the Octagons. Hey Zeal! Not sure why I didn't see your thread on cables before. Absolutely beautiful work! 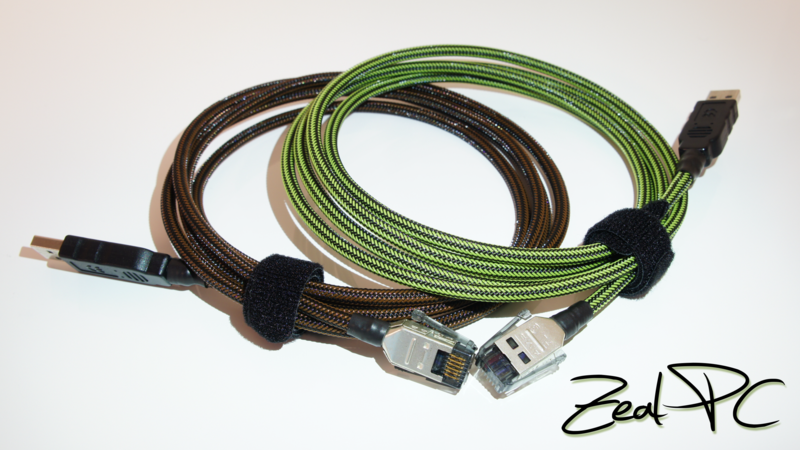 Hi Zeal, I'm a big fan of your website, and I've been eyeing your cables for a long time now. Do you have an orange that matches the Skidata Orange? 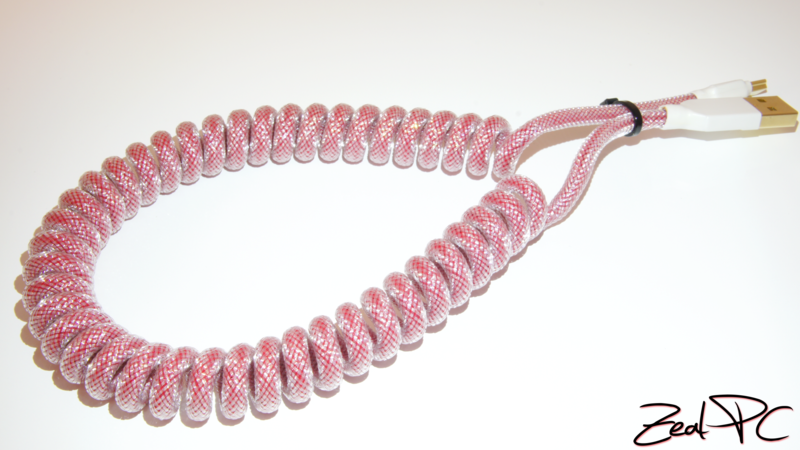 acid purple and GID pink, both with clear outer sleeving. i love these cables. thanks, zeal! 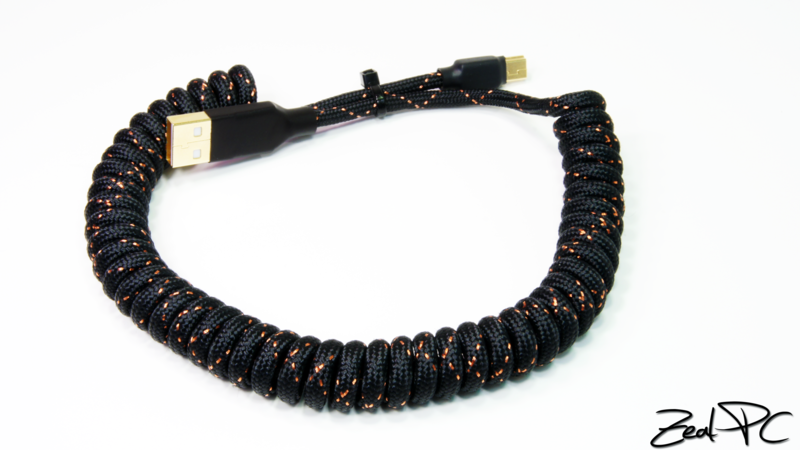 Wow, those cables match really, really well! Nice job Zeal. not sure if i'm doing this right. 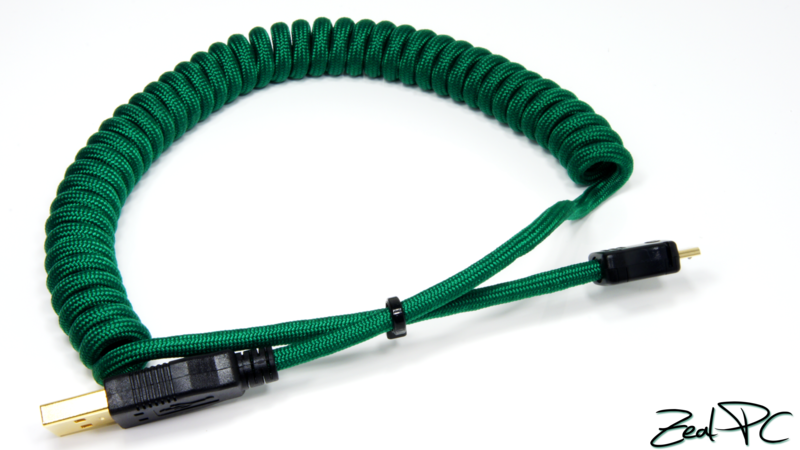 i want a coiled paracord, single sleeved and the maximum coil length is 1ft. so i put coil length on 1ft and 7th on "Length of Cable?" Sort of. The first dropdown will determine how long your cable will be cut to. 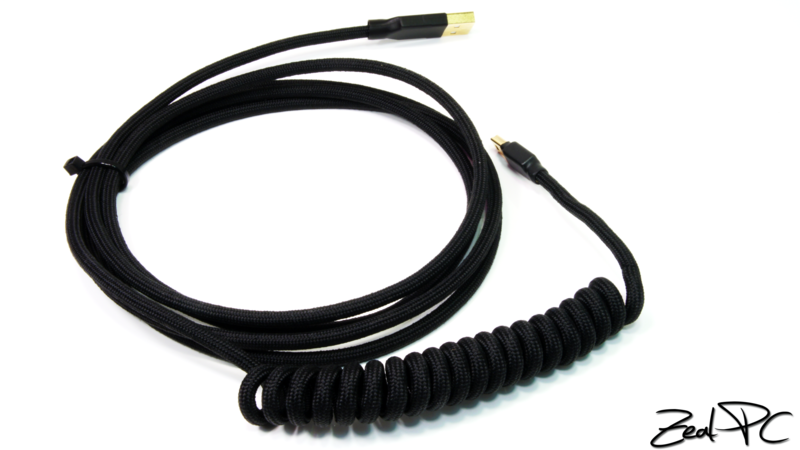 So if you ordered 7ft, and requested 1 ft of coil, the whole cable will only be 1ft in length, with a full coil. If you would like some remainder straight cable at one end, then be sure to add some extra length on the first drop down menu "Length of Cable?". alright thanks! 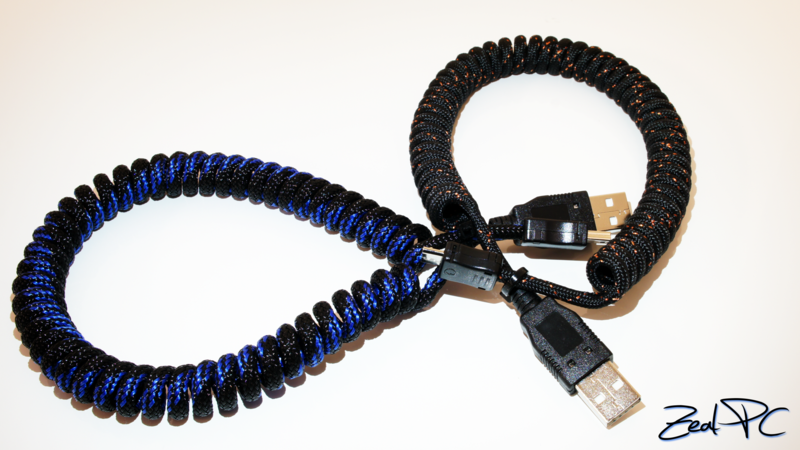 are you planning to restock the paracord blues anytime soon? i'm looking for 8ft+ cables. What particular shades of blue are you interested in? Some have been discontinued from my supplier, so I may or may not be able to get more for now. Baby Blue and Colonial Blue. Those two happen to be out of stock for now. I'll see if my supplier has any update with an ETA. Any chance you will stock Techflex? 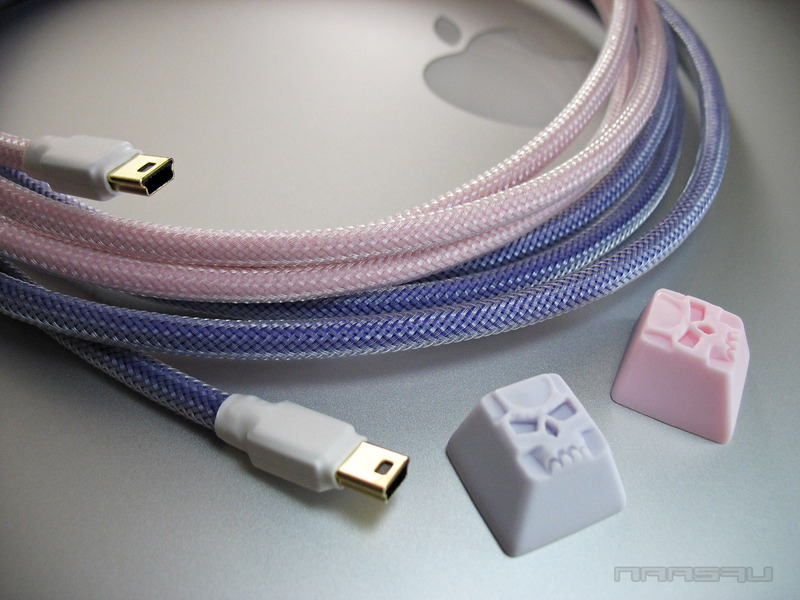 Some great looking cables! Many of Techflex's line of PET sleeves are quite loosely woven. I prefer to offer customers with sleeves with denser weaves, so no, I most likely will not be stocking their line of sleeves. 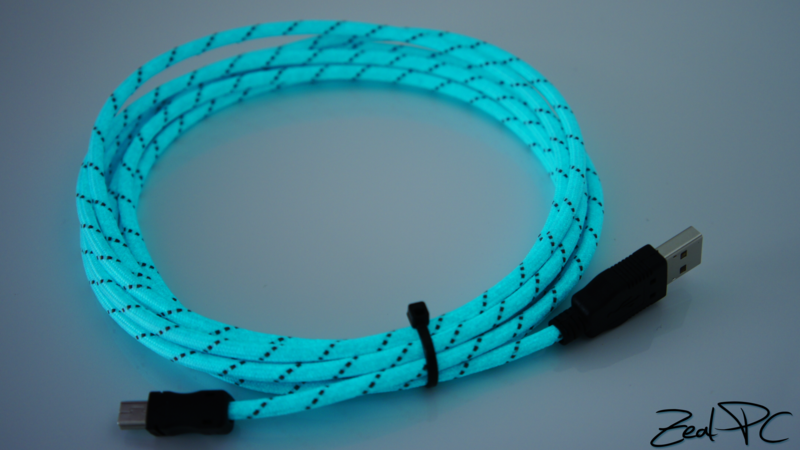 Custom cables are temporarily closed as I'll be heading out on a business trip + attending Computex 2015 (definitely will go to Ducky & Topre booth!) from May 27 - June 14. I've temporarily closed the cable order form as I'll be leaving for a business trip this week, and won't be back til mid June. Order form will be back up once I return. Got my GID Pink + Clear. Brilliant sleeving work. I love it and will be back to buy more. Some of your earlier pics showed right angled connectors. Do you still do them? No, right angled connector housings have been discontinued a while ago due to durability concerns. Hi Zeal, first off i have to say i am very impressed with your cables. I want to see what a 6ft champagne gold and clear with black hs and maybe gold plated ends would cost for a usb a to usb b. thanks! Champagne gold/clear plastic sleeve has been sold out and is no longer offered. My cable listing is also temporarily closed as I focus on shipping a bunch of Zealio switches out to the GB participants.